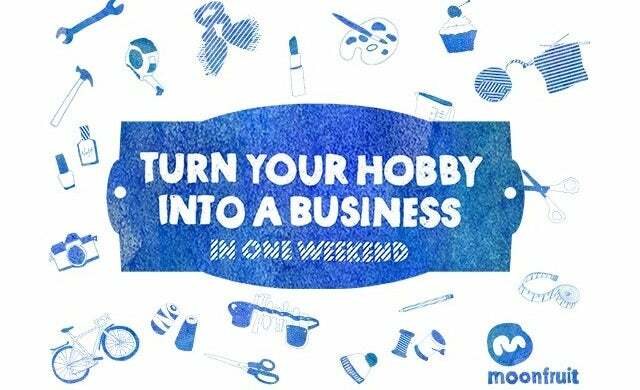 Many of us spend our weekends enjoying hobbies and learning skills that could easily be turned into successful business ventures. Why not take one of those weekends to actually start a business? It can be easier than you think if you do it online. With just two days’ careful planning, you can get the ball seriously rolling with a great website and the foundations to build your own mini empire. Saturday should be a day of planning before the real action takes place on Sunday; think of it as a chance to ‘get all your ducks in a row’. Take some time to really define your idea. What do you want your visitors to do – read? Buy? Share? Do you want an online shop to sell your products from, or an online portfolio that acts as more of an advert to showcase your services? And what about your name? Try to come up with something original but that has some bearing on the nature of what you do. Do you know who your customers are and what they’re willing to spend? Do you know who your competitors are and how much they charge? In essence, do your research. Prove there’s a market for what you want to do. You can find much of what you need online. We’re not suggesting you’ll be able to create a comprehensive business plan in just a few hours. But you can make a strong start – one that will help you with the rest of your prep this weekend. You can find lots of helpful resources and even templates online. Banks are typically the first port of call for new business start-ups, but if your loan application is turned down, you could try everything from dipping into your own savings or asking friends and family for help, to private third-party investment or even crowdsourcing. It’s also worth looking into business grants, sector-specific funding, government-backed Start Up loans and the Prince’s Trust. Take a little time to sit back and take stock of where you’re at with your planning; you may have things to finish off from the previous day, or you may be ahead of schedule. No two businesses are entirely alike, so tweak the process to suit your circumstances. Gather any images you want to use and take some photos of your products, your premises, your creative workspace and so on. Now write the copy for your main pages – your homepage as well as your ‘about’ ‘shop’ and ‘contact’ pages for example. Find a website builder that suits your needs. If you like the idea of an easy-to-use drag-and-drop editor with no coding knowledge required, try Moonfruit– you can build a free website and have it up and running in minutes. Once you’ve signed up and picked a template, you can start dropping in your pre-prepped content across your key pages. Now you’ve got your site up and running, it’s time to link it to your other web channels (Facebook, Twitter, Pinterest and the like). Ask friends and family to share your site’s existence with the world – their support could prove crucial in the early days of your new business venture. Once all the basics are in place, you’ll need to build on what you’ve started and create some momentum.